Ambitious as always, Clergue enhanced the power plant capacity from five-thousand to twenty-thousand horsepower. 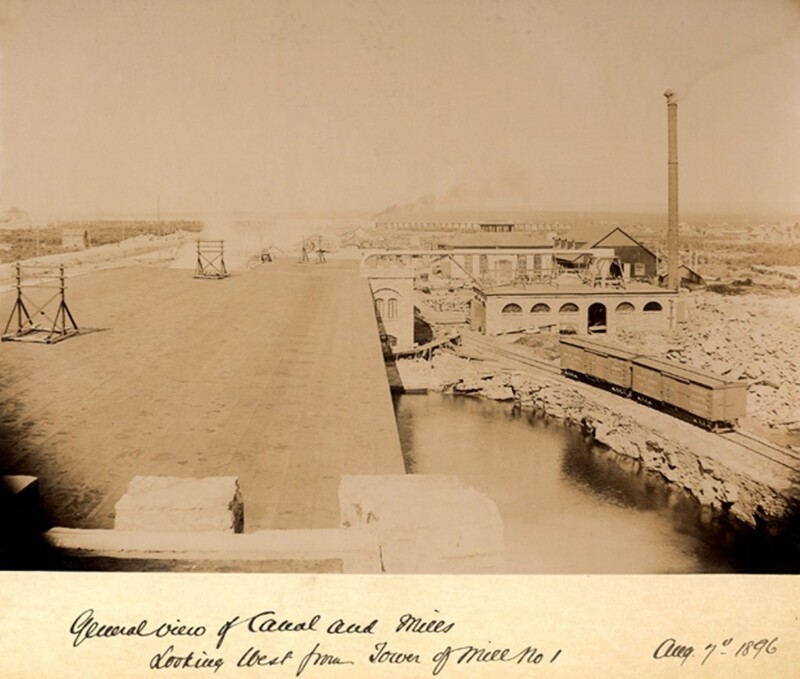 For such a substantial upgrade, the St. Mary’s canal was greatly expanded. 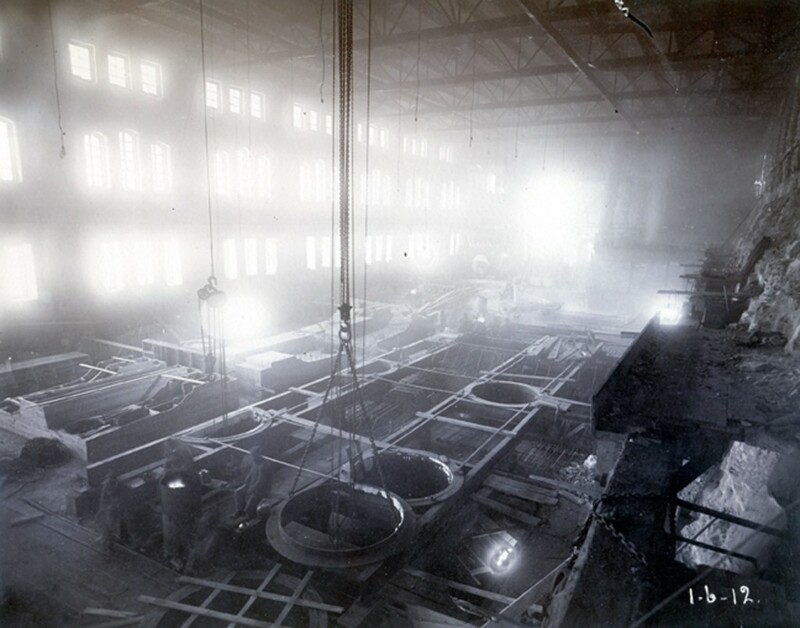 Clergue installed forty-two turbines in his new hydro-electric facility. When completed, the plant would supply water and power to the growing city. The Sault council and Clergue agreed that his newly created Tagona Water and Light Company would provide the Sault’s first streetlights and fire hydrants. 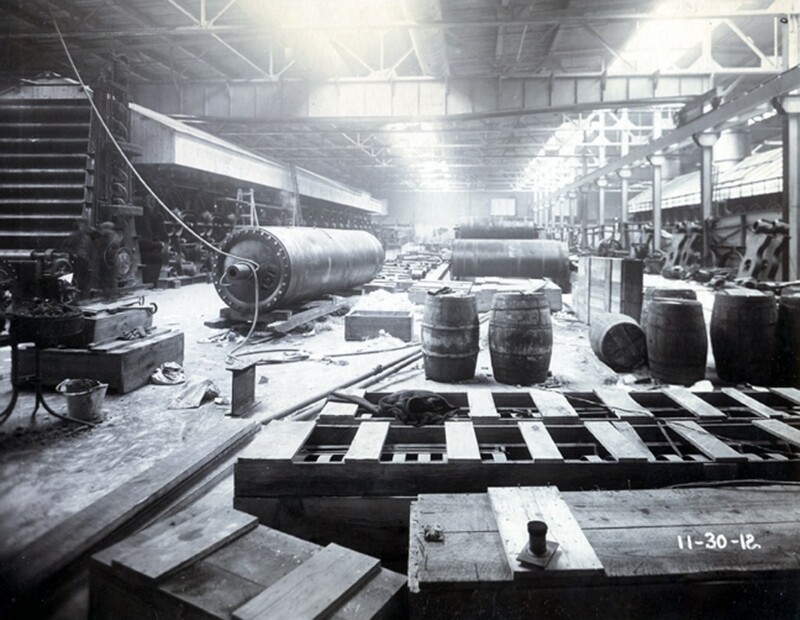 Line and pipe were laid as soon as construction began. Practically overnight, the Sault was transformed from a struggling, nearly bankrupt town into a growing city with modern amenities. 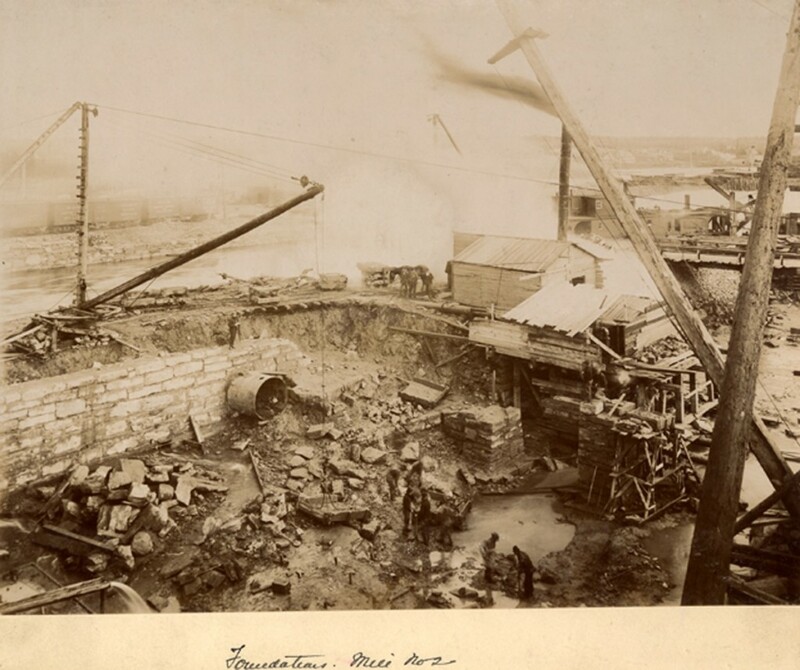 Clergue quickly learned that his power plant construction would not yield dividends for his Philadelphia investors. 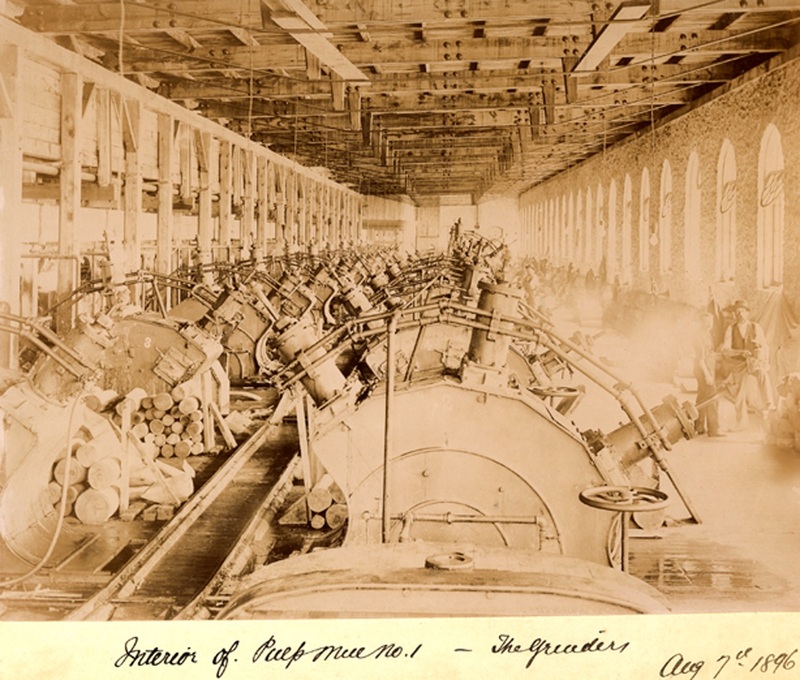 The Sault lacked both industry and population to consume even a small fraction of the enormous electrical output generated by his massive plant. His predictions that industry would naturally relocate to the Sault were not born out. To resolve his predicament, Clergue decided to build the industry himself. Northern Ontario has abundant spruce trees, ideal for producing the essential pulp used in paper manufacturing. In 1894, Clergue convinced the Ontario government to grant him one-thousand square miles of Crown Land to harvest pulp-wood. He convinced his investors to finance the pulp mill construction, which began prior to the power plant completion. This breakneck construction pace and factory developments required abundant manpower. To attract workers, Clergue sent immigration representatives to Europe. The Sault’s population then surged. His ambitions grew. 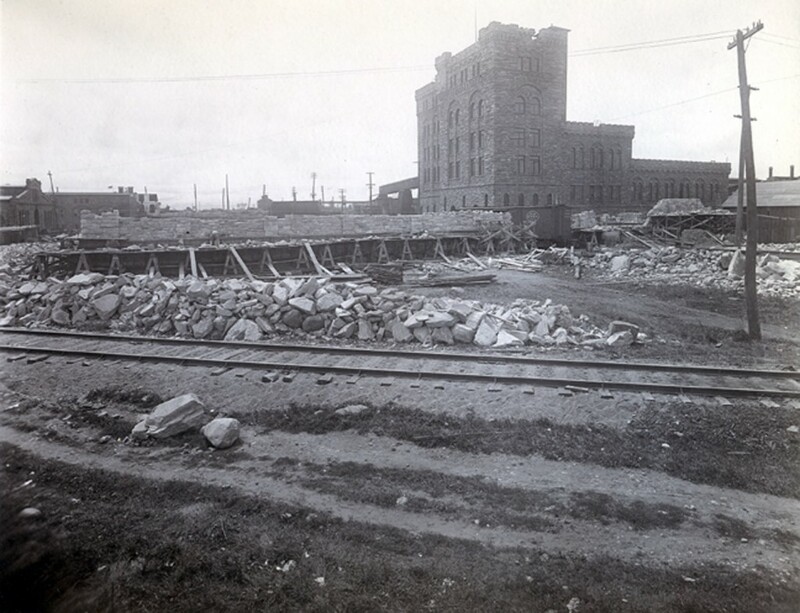 Clergue commenced construction of a second pulp mill in 1895. It proved unnecessary and was sold to his power company in 1897. The market predictions Clergue and his investors promoted were usually far more optimistic than actual company performance. A crucial challenge faced in his pulp mill operation was high shipping costs. Finished pulp then contained close to fifty-percent water, making it heavy, bulky and difficult to transport. Clergue saw an immediate opportunity to improve efficiency. He realized that by shipping dry pulp this transportation problem could be alleviated. In the late nineteenth century no pulp drying technology existed. To save his enterprise, Clergue sought to develop the technology himself. He hired scientific and engineering teams that worked on pulp-drying machine prototype. A promising design resulted, but an iron works could not be located capable of building this technology. 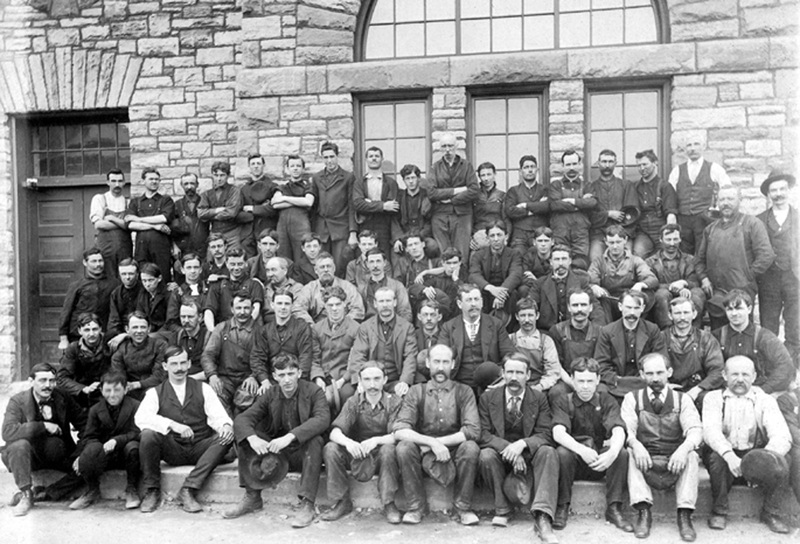 Undaunted, Clergue constructed “The Algoma Iron Works”, housed in an enormous new machine shop that still stands today. By the end of 1897 Sault Ste. 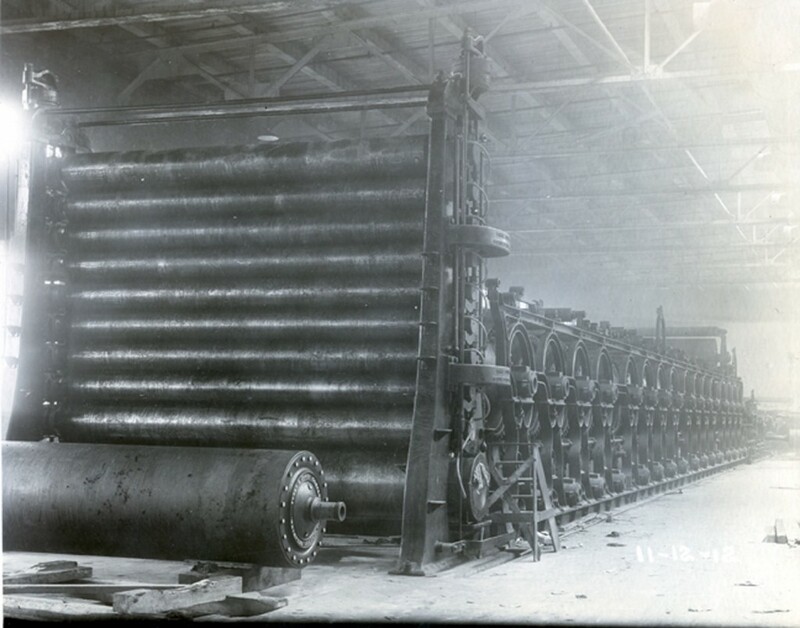 Marie had one of the largest iron working companies in the country, equipping the mill with 21 pulp drying machines. Clergue had solved his transportation problem, but the fix required tremendous new investment. Profits for shareholders would not be immediately forthcoming. Now shipping dry pulp, Clergue sought to further enhance his product quality. Treating pulp with sulphite greatly improves the paper produced. While on a trip to Sudbury, Canada’s nickel and mining center, Clergue observed great quantities of sulphur gas bi-products produced in the nickel smelting process. When Clergue found he could not feasibly purchase bi-product, he established his own nickel production facility. He purchased two mines near Sudbury, naming them after his sisters Gertrude and Elsie. 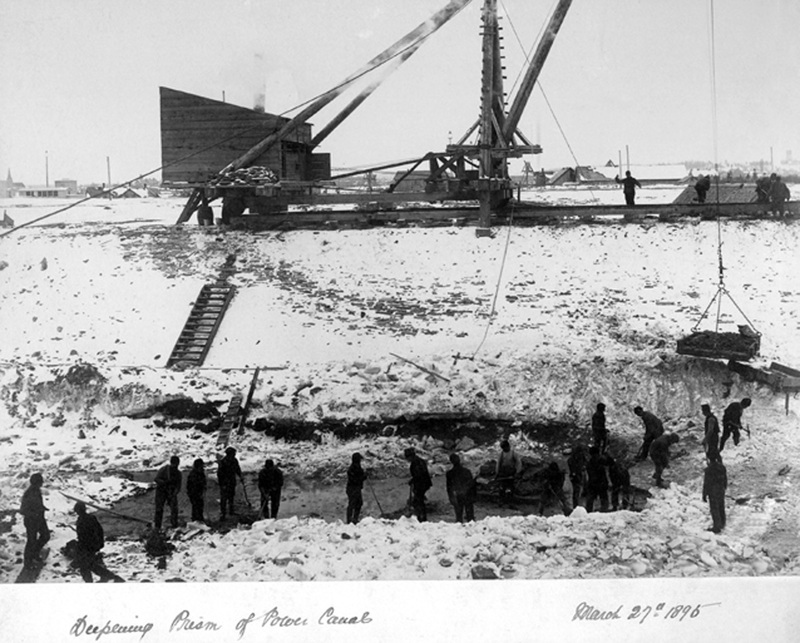 These mines were too remote to permit product transport back to the Sault. Clergue solved this problem by constructing an eight mile railway link to the main Canadian Pacific line. 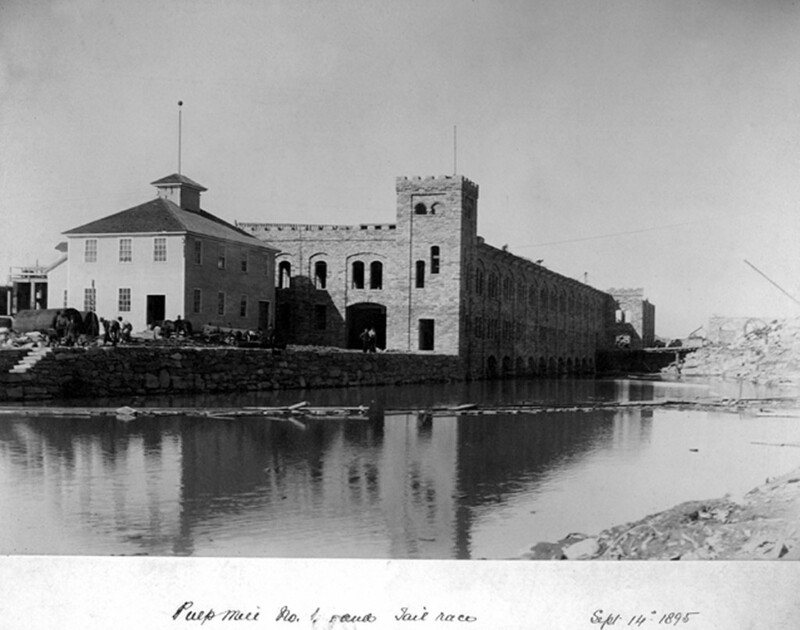 A giant tower and laboratory were constructed at the Sault works to house this pulp mill chemical component. The costs Clergue incurred to improve his pulp mill operation were enormous. These would never be recouped.